SpillPro supplies a wide range of rags and furniture felt for spill cleaning, packing and surface protection. They're available in a variety of fabrics, bag sizes and rolls – and we'll happily advise on the ideal fabric for any application. 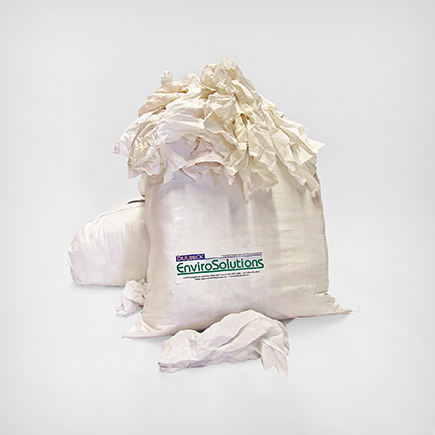 SpillPro also supplies a wide range of rags for spill cleaning, packing and surface protection. They're available in a range of fabrics, bag sizes and rolls – and we'll happily advise on the ideal fabric for any application. Whether you need to soak up oil from small workshop spills or cover surfaces while moving location. SpillPro supplies furniture felt that's ideal for packing and surface protection. At 450gsm, it's strong and durable enough to be used across a wide range of industries. It's also washable, odour-free and does not retain dust. So it can be used to clean, absorb and protect again and again.